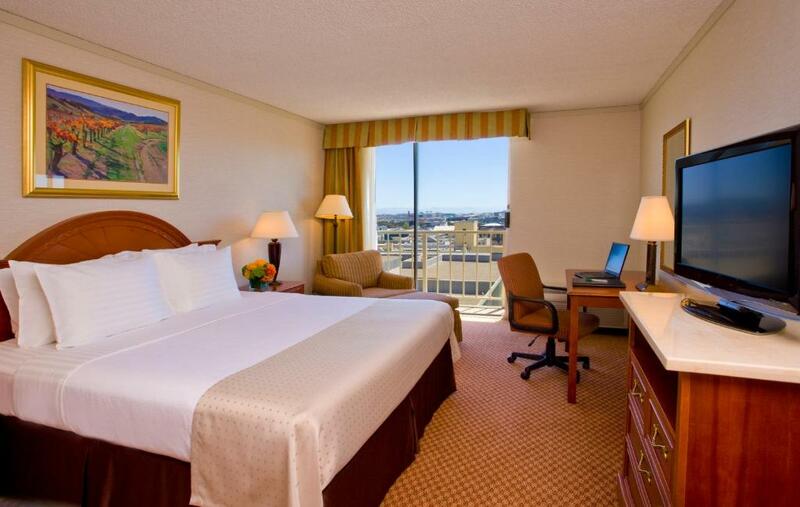 Our guests choose the Holiday Inn Civic Center for its free Wi-Fi and proximity to public transportation. 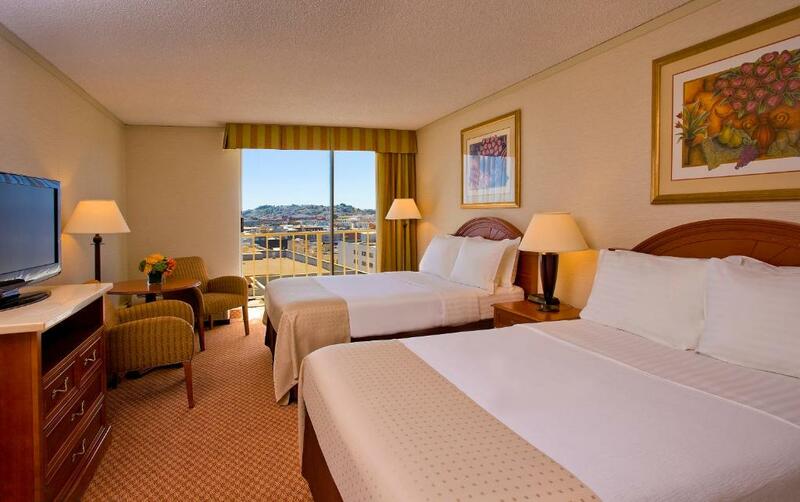 The 14-story 388-room property's rooms all have private balconies and flat-panel TVs. You can take advantage of the free Wi-Fi or head to the 24-hour business center to get some real work done. Hone your physique at the on-site fitness center or just float aimlessly in the heated pool and take in the sun. You won't need to leave to grab a bite or have a drink; the restaurant and lounge are at your service. Parking is available for a fee. Don't forget to bring your favorite furry friend: the hotel is pet-friendly. 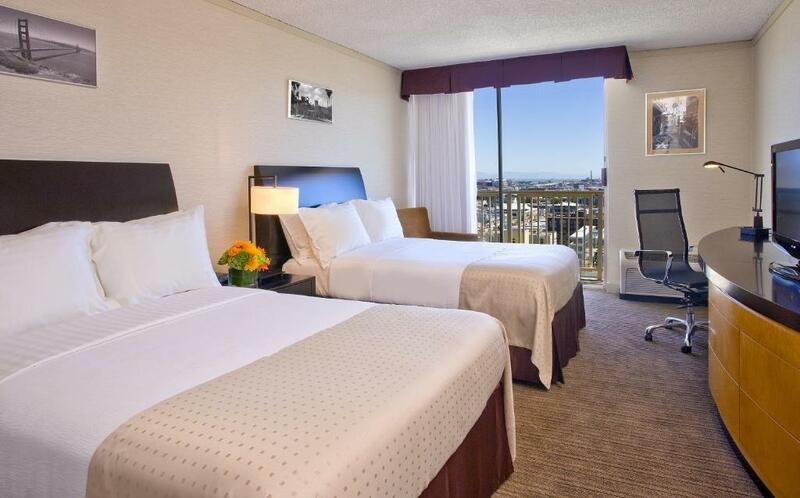 The Holiday Inn Civic Center is located in SoMa (South of Market Street) in downtown San Francisco and about a half-hour's drive from the San Francisco International Airport. Right off of Market Street it's only a half-block to BART (Bay Area Rapid Transit) rail system the Muni light rail and the historic F streetcar line which can speed you to the Embarcadero waterfront or the Castro district. Walk three blocks to the Asian Art Museum Civic Center and Davies Symphony Hall. 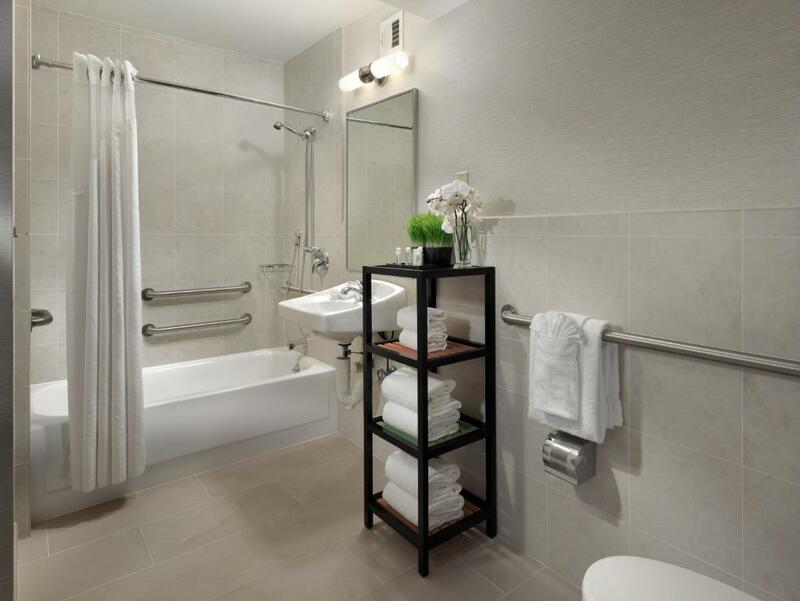 If you're looking for convenient accommodations with value-conscious pricing the Holiday Inn Civic Center has plenty to offer.